*NEW* - Envirolight HDR Lighting. 5 hand crafted HDRI light/environment maps, a scene file, a set of 5 different HDR light/tonemap/environment presets, camera and render settings. All of the promo renders were created using only the included Envirolight HDR Lighting and render settings with no postwork. NOTE: Genesis 3 and Genesis 8 Female Body Morphs are only required for the dialed in body morph. Everything else will work fine with the Genesis 3 and Genesis 8 Female Base Figure alone. 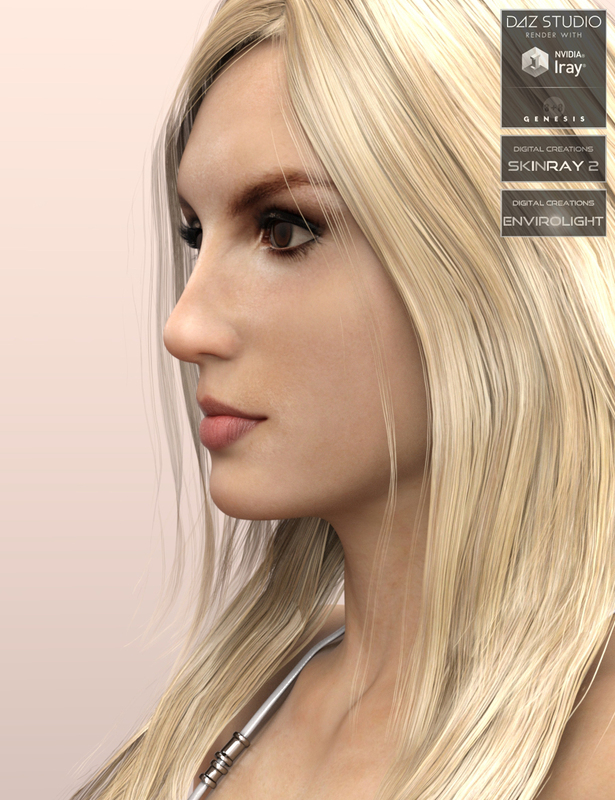 NOTE II: The package is fully compatible with Victoria 7 and Victoria 8 and any other characters that use Genesis 3 and Genesis 8 Female as a base.